My LION SMC » Rev. 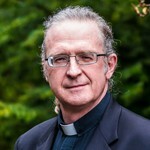 Rob Allore, SJ, Ph.D.
Rev. Rob Allore, SJ, Ph.D.